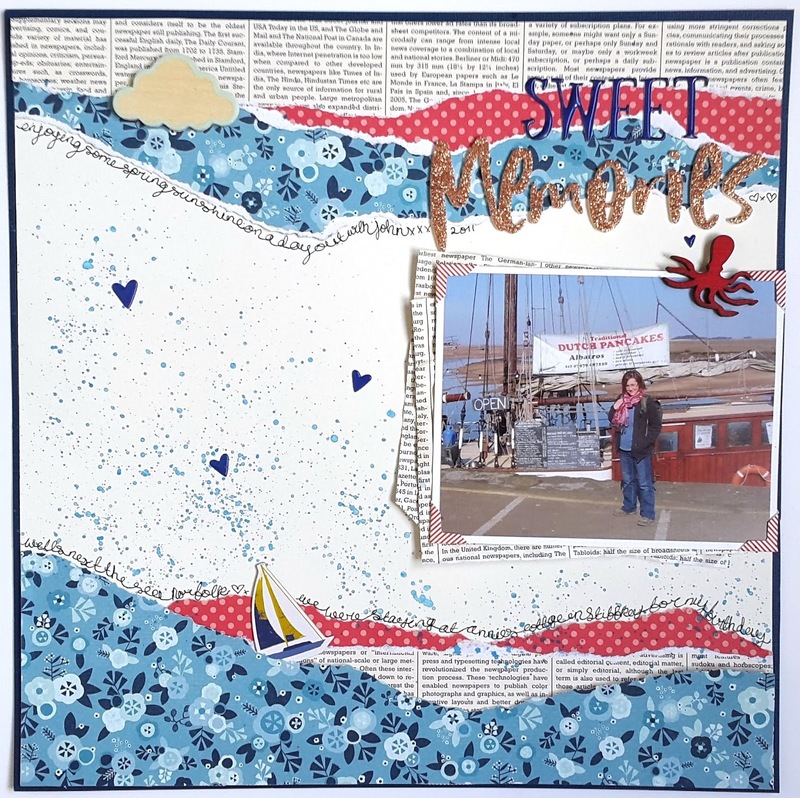 I love this illustration with all those hand painted summery elements, and the colour scheme lends itself very well to nautical/beach themed pages or perhaps layouts about your 4th July or Royal Wedding memories. 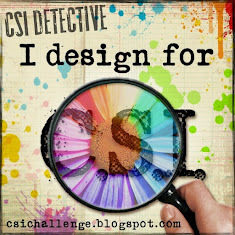 To crack this case, you can either draw your own ideas from the inspiration image, or pop over to the CSI blog to see the full Case File, with all the clues you need to follow and lots of beautiful pages made by other CSI Detectives. This is a picture of Yours Truly, taken by my then Fiance on a day trip to Wells-Next-the-Sea in 2011. Scheme: All colours are there. 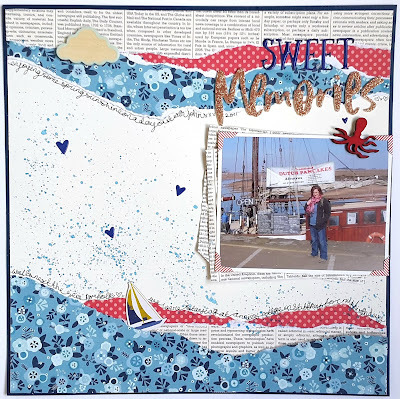 Evidence: Nautical element (boat), animal (red octopus), wet medium (paint splatters), something grainy (glittered word). Testimony: my journaling is handwritten along the torn edges and documents a day by the sea. 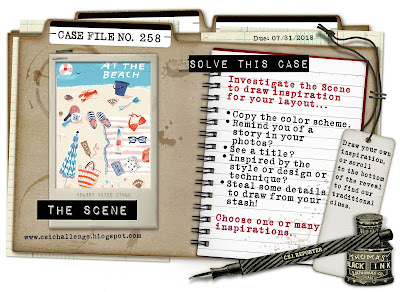 Why not have a go and solving this Case File yourself? You have until the end of the month and there are lots of fab prizes on offer. Check out the FB page to more news and inspiration. Fabulous page, Annie! Loving the torn layers!